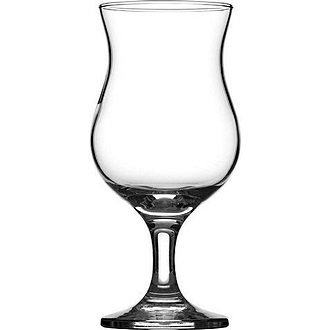 The Pina Colada Cocktail Glass is very similar to the Hurricane Glass, however Pina Colada glasses tend to have a plump waist - almost bulging out at the sides. Hurricane Cocktail glasses tend to be more 'hour-glass'. Either Cocktail Glass can be used for Pina Coladas.